Documentary Seeks To Free Amy Winehouse From Her Tabloid Legacy In the dawning of the digital age, "She was the unlucky one to be having a nervous breakdown in public at the time," Amy director Asif Kapadia tells Fresh Air's Terry Gross. 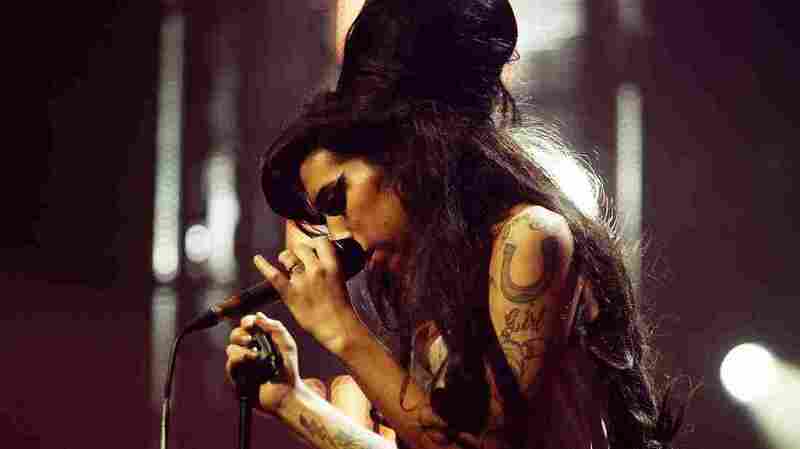 Amy Winehouse performs at London's Music of Black Origin Awards in 2007. "Amy sold newspapers. If she was on the cover of a tabloid, it sold more copies. If she was on a website, they got more hits," film director Asif Kapadia tells Fresh Air's Terry Gross. It was the dawning of the digital age, with the advent of YouTube, Facebook and other popular cultural websites, and "She was the unlucky one to be having a nervous breakdown in public at the time." Kapadia's new documentary, Amy, tries to rescue the singer from the tabloid narrative by examining who she was before she was famous — and tracing how addiction and fame transformed her. Kapadia pieces the film together using interviews with Winehouse's family and friends, as well as footage and excerpts from home videos, holiday cards and answering machines. "One of the big revelations for me — there's lots of revelations making this film — I didn't realize how funny she was," Kapadia says. "I didn't realize she played a guitar. She had this amazing personality." Among those interviewed in the film is Nick Shymansky, who initially discovered Winehouse when they were teenagers. He became her first manager. Shymansky was present for the unsuccessful effort to get the singer treatment for her addictions, which resulted in the song "Rehab." In it, Winehouse sings, "They tried to make me go to rehab, I said, 'No, no, no' ... I ain't got the time, and if my daddy thinks I'm fine..."
"That song ['Rehab'] is pretty much verbatim what happened that day," Shymansky tells Gross. "It was all lined up for her to go [to rehab], and who knows what would've happened. ... But we had it all lined up and [Winehouse's father] changed his mind and, if anything, belittled my position and also my point of view." Winehouse never made it to rehab that day, and her song about the experience became her biggest hit — and also, maybe, her biggest miss. "Later on, people watched her singing it with a glass of wine in her hand, or a vodka, and sitting there dancing to it, but this is a cry for help in a way," Kapadia says. Nick Shymansky: I suppose if I look back, in hindsight, she wasn't that ambitious to be famous, and she wasn't ambitious to make lots of money, but she was very ambitious to get in the studio with some top-level musicians. She was really excitable when it came to making music, being around music. I guess that masked, at the time, my understanding of what her ambition was, because there was motivation and there was enthusiasm, and I guess, years later, I look at it and I realize that was never directed at fame or money or the things that come with being a big star — but it wasn't so obvious, because of those other things that were going on. Later on, people watched her singing ["Rehab"] with a glass of wine in her hand, or a vodka, and sitting there dancing to it, but this is a cry for help in a way. Asif Kapadia: We found out that bulimia was an issue from a young age, from, like, her teens, mid-teens. ... A lot of different people ... noticed it but they didn't realize it was a big deal, or they thought it was a passing phase or nervousness, and that was a massive part of Amy's kind of illness over the years, which mixed with alcohol and, obviously, there was a period of heavy drugs. But that was really a problem for her — there was an eating disorder that continued all the way through, and really people started to notice it more and more. What I found was that lots of different people would notice it, but nobody was talking to one another. And I think that was a big revelation about the Amy story, was that the different compartments to her life, different people in different stages, that didn't meet or talk to one another — or, in certain cases, just didn't get along. And I think, therefore, Amy was able to control the situation [because] not everyone knew all of the information. Shymansky: She was in a bad place, and it had been going on for a while. I was very worried about her, it being long enough to realize that this wasn't just a phase. And so myself [and Amy's friends] Juliet and Lauren, we sort of rallied together, and it resulted in me taking her to rehab. She went to meet someone at rehab, agreed to go in on the condition that I took her to her father's house, and she got his consent and his approval. I obviously stopped, called him to kind of just make sure he was on the same page, and he agreed he was on the same page. [But] by the time we got to the house, he had changed his mind — and, if anything, went against the idea of her going to rehab. Kapadia: Amy turned [her refusal to go to rehab] into a song, which became her biggest hit, which became the albatross around her neck. It's the song that made her famous in the U.S. It made her famous around the world. Kapadia: He's quite pedantic, I think. He's saying [that] in his interview — and we did more than one interview — he said, "I don't think Amy needed to go to rehab at the time." Now, he's saying, "You've taken out 'at the time,'" but the point was at that time he didn't think she had to go to rehab, and that's what we've got in the film, and that's what Amy says in the song. Kapadia: She is so expressive; she's not hiding anything. You can see it, she put it all out there, and when it's fun and when she's happy you see that, and when it's dark you can see she's not able to hide it. You can see — I don't think she looks happy in the place she finds herself in. ... Again, I am talking in hindsight, but a lot of what she was doing seemed like a cry for help, seemed like, "If I do this, will someone come in and stop it? No. What if I do this? ... When will somebody come and stop it?" A bit like a child saying, "If I misbehave, at one point do you tell me, 'No, there's a boundary. You cannot cross this boundary.'" 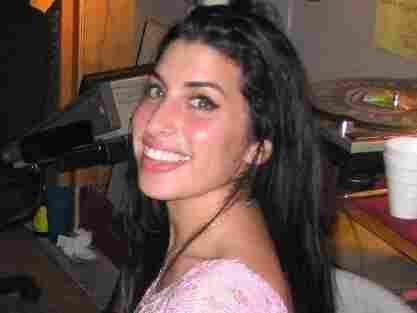 Kapadia: The interesting thing that we should mention is that Amy was the girl with the album with that particular song "Rehab" who was famous in the U.K. when all the newspapers went digital. So suddenly there were websites. ... Facebook, YouTube, all of these other social-media things suddenly turned up, and she was the one [where] if she had a bad concert, everyone saw it around the world. So there's another reading to the film, which is about how the media changed. Kapadia: There was a point when everyone around her seemed to either have a TV show or had a regular thing going on in the newspaper. ... People had deals with newspapers and tabloids, and it was like everyone else around her suddenly got a record deal — there was just this machine that was around Amy where it became about them and not about her, and she was one that was getting more and more lost.